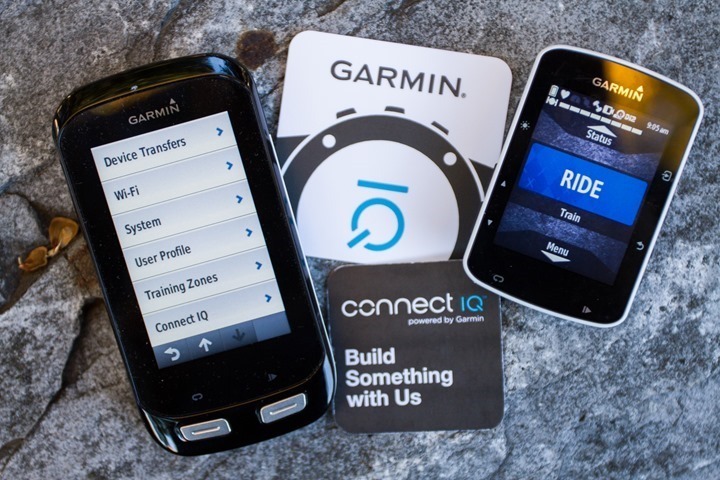 It’s been about 5 months since Garmin announced Connect IQ would be coming to the latest Edge cycling units. This would extend the Connect IQ platform from being previous wearables only (i.e. 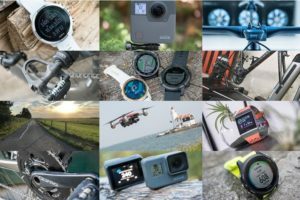 wrist worn things), to other Garmin device types. Over these past few months they’ve released developer (beta) builds for 3rd parties to start creating apps. 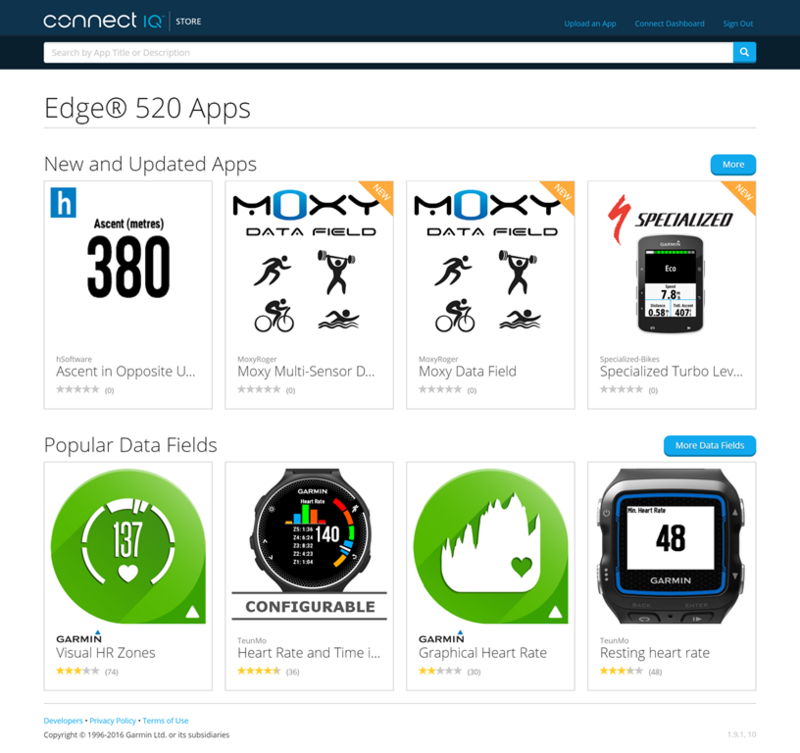 And now they’ve opened up the Connect IQ App store to Edge data fields (the first step in full Connect IQ compatibility). I gave it all a whirl today to see how well it worked in its final state, as well as the integration with 3rd party products. Let’s dive into it. 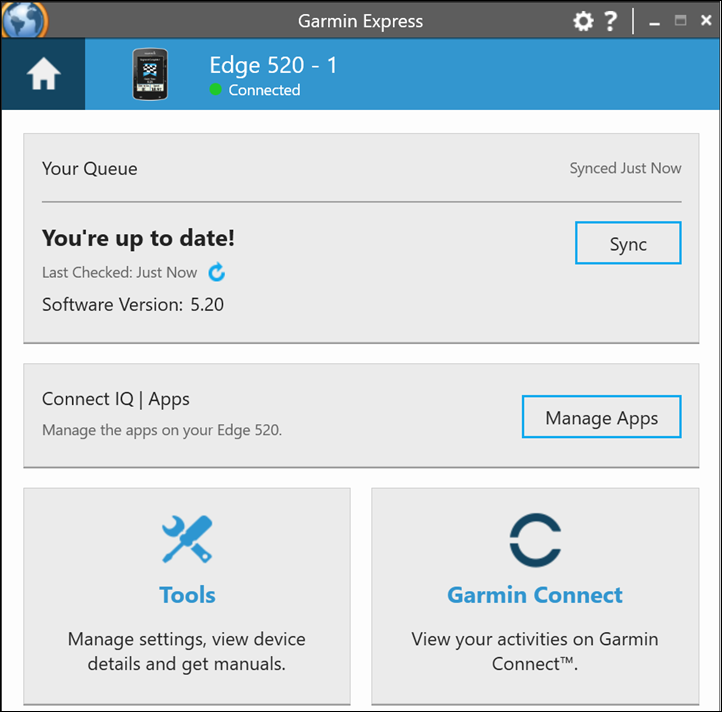 For the Edge 520 and Edge 1000 (and the derivative Edge 1000 Explore), you can use Garmin Express to update your unit, which will automatically download the updates for you to your Edge. Or, if you have WiFi working on your Edge 1000 – it’ll grab the updates that way too. Note that there are no plans to bring Connect IQ to the older Edge 510 or Edge 810, nor the tiny Edge 20/25. Connect IQ is available though on a crapton of Garmin wearables, including: Forerunner 230, 235, 630, 920XT, Fenix3, Fenix 3 HR, Vivoactive, Vivoactive HR and other non-fitness units. Note that you won’t see the “Connect IQ | Apps” panel above (or on your mobile phone app) until you’ve unplugged the unit and let the software update install. Then you’ll plug it back in again, and/or connect it to your phone app to be able to add apps to it. It’s the whole chicken and the egg thing. The upgrade process only takes a minute or so. Well, unless you’re still on CompuServe with a dial-up connection. Then it’ll take a bit longer. Once you’ve got the firmware squared away you can go back to the app and click ‘Manage Apps’ to get some data field goodness installed. Another click later and it’ll take you to the web-based store to choose your apps (all of this is also possible on your phone). Apps: Confusing yes with having two things named the same, but apps in this context are real apps that can have multiple pages and menus (versus the umbrella name apps for everything in the Connect IQ store). These aren’t yet available. Data Fields: These add in additional data fields you can select and add to your existing data pages and activity profiles. These are what’s now available. Widgets: Widgets are connected data views that you can iterate through, kinda like the weather widget that you have on your Edge already. These aren’t yet available. Cracking open the list, it’s a mix of new data fields ones along with ones we’ve seen before. For example, the Specialized one is new (and I previewed a variant of it back here in the fall), as is the BSX one. But some of the others are just repeats of things we’ve seen on the wearables side before. There are a few notable ones below though – like the ‘Pace’ option, which now allows you to convert a Garmin Edge into a pseudo running watch. Useful for some that like to use a Garmin Edge on a running stroller or such. Since I’ve got a BSXinisght Lactate Threshold device, I went ahead and installed the BSX data field. Then click the little cloud/arrow icon that installs it on the device. No more than a few seconds later it’s installed and ready to go. 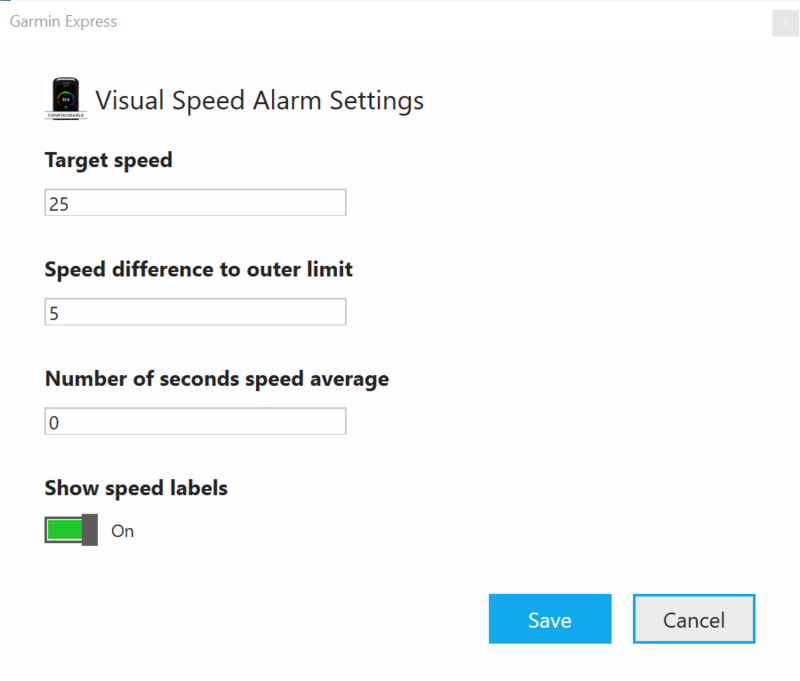 Rinse/repeat for any other apps you want, like this ‘Visual Speed Alarm’ data field I’ve added. Note how the Visual Speed Alarm data field has the “…” next to it – that means that it has customizable settings. So you can click that and tweak things. Click save and you’re set to head outside. At this point the Connect IQ data fields are ready to go, it’s just a matter of selecting them on your head unit to use. To add a Connect IQ data field to your activity profile, you’ll dive into the settings just like you normally would to tweak things like data pages/views. So that’d be: Menu > Settings > Activity Profiles > [Your Activity Profile] > Data Screens > [Screen #] > [Field #]. Once you do that, it’ll show you the Connect IQ data fields that you’ve installed. Simply select whatever you want to add to your screen. For the heck of it, during my ride, I put together a short video explaining all of this and showing how it works. As you can see, all of this is fairly straightforward. Which would kinda be the goal. Speaking of goals, or rather, goalposts – we’re still waiting for the ability to write to the .FIT file. 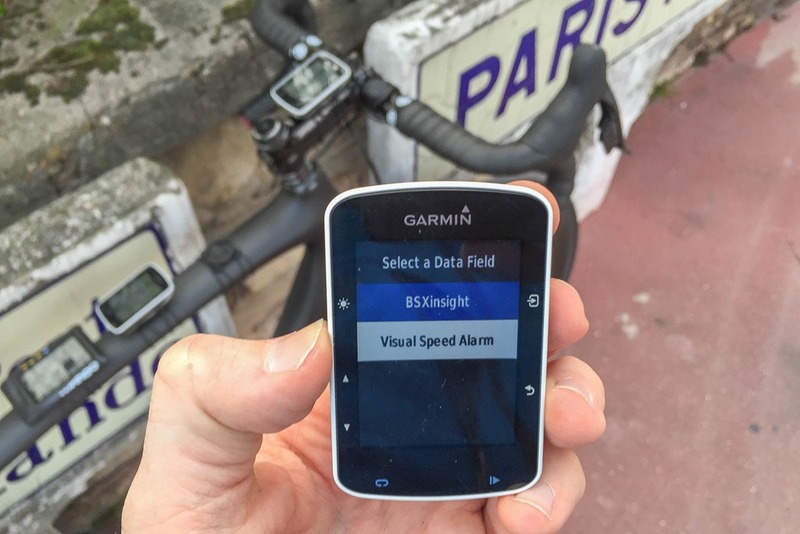 So at this point the recording of the BSX or Moxy data (for example) isn’t happening within the Garmin Edge device. That muscle oxygenation data is just visually shown to you and is never saved. 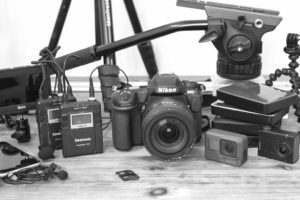 Of course, BSX (and Moxy) are recording that behind the scenes on their device, but it doesn’t make for an easy one-stop shop. Garmin had previously said Q1 2016 for this capability, but it remains to be seen if they’ll hit that date. With less than 20 days left in the quarter and no SDK (developer) releases supporting it, it seems unlikely. Additionally, you don’t see either Widgets or Apps yet available. Those are coming, but aren’t here today for consumers. You can see more on that back in my preview post from this fall. It’s the apps where I’d expect to see larger companies start to take advantage of them. For example, TrainerRoad has long looked into the benefits of an app for their platform. Potential ideas could include allowing you to use a Garmin device instead of having to use a phone/keyboard for controls within the app (minimizing sweat issues with less water friendly devices). They see potential in simplified account management as well. In talking with TrainerRoad today, they’re definitely still onboard with creating an app, but haven’t specified a timeframe (but said they are waiting for .FIT file writing to go live first). Finally, note that one interesting tidbit in the data field capabilities that was enabled today was ‘generic ANT’ access. This means that companies can make up whatever they want from an ANT standpoint to communicate between sensors and the Edge Connect IQ apps. In other words, coloring outside the lines and not using standard profiles (like HR, Speed, Cadence). So I could create a generic ANT connection for something like aerodynamic data, or hydration data. Neither of which have ANT+ standard profiles. It doesn’t solve the problem of recording yet, but it does enable scenarios like I talked about with the PowerPod future ideas and displaying real-time aerodynamic data relatively trivial. And that sort of flexibility means smaller companies can create cool things and trial/demonstrate them easier. With that – thanks for reading, and have a great weekend all! So much functionality is predicated on .FIT file recording. I don’t use popular apps like DwMap or Hike despite their benefits, because I also value Garmin Connect. The interest and developer diversity would be greatly helped by this. If you use dwMap it will still record your activity as normal. What is meant by supporting FIT file recording is allowing non-native data to be recorded – like the BSX data field Ray mentions above. I wasn’t aware of that. Thanks! I was looking forward to Connect IQ on my Edge 1000 though, mainly for apps and seeing what developers could come up with. But they’re not here. And still not writing to FIT is baffling – I’m guessing some political rather than technical reason for that. With smart watches and phones hot on the heals, and becoming more capable for serious sports use each year, and with an aggressive development community producing innovative apps for them, Garmin have some serious work to do on their platform I think. Appears to be 4 judging by one of Ray’s photos. I think the limit is there for memory/resources reasons. Logical then that the Edge units allow more than the watches. I’m getting more disappointed with Garmin, they seem to be struggling on the software side. Aside from the fairly poor start to IQ on the edge devices, I’m annoyed that they now push updates to your edge devices, and I’m getting nagware everytime I turn my device on, wake it from sleep or even finish an activity!! Given the HUGE UNDER-TESTING of all of their releases, you need to keep your wits about you to keep your device working. I’m one of the ones who uses Turn by Turn navigation, which seems to be difficult for garmin to get / keep working. I currently have firmware 5.2 on my device, as firmware 6.0 broke TBT, and I have no idea if firmware 7.0 has fixed what 6.0 broke. But I’m still getting update notices on my device despite deleting the update file!! I can’t turn this off either… It’s all going the wrong way at Garmin, you get the right to update my device when you nail your releases every time, not when you are flakey! So you’re checking out SRAM RED eTAP eh? Liking it so far? Yeah! i hope der will be a review! Any idea when the 520 will support eTap? I can’t add mine yet and had hoped to be able to soon. please just a give us a spoiler: etap or da9070 ? RE: Edge 520 Support: Not sure when, waiting on that myself. RE: eTAP or Di2: I haven’t looked at a pricing comparison yet, so if they’re substantial, I’d just go with what’s cheapest. However, if they’re in the same ball-park, I find the benefits around the simplicity of eTAP better than Di2. 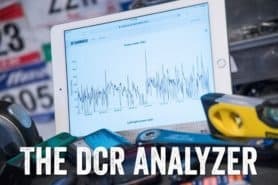 Di2 is perfectly fine (I have it on my tri bike), but it’s also more complex for the average person to install and get up and running. I’ll be covering all the details in my full in-depth review. But I actually don’t see that much difference between performance. eTap feels slightly faster to me, but it’s also in a different setup than my Di2 Bike (road vs tri). So the buttons on Di2 in a tri configuration are more like pressing a button on your remote control, compared to levers on a road bike shifter. On my Mac, Garmin Express doesn’t display the three dots to get into the settings. It doesn’t show the icons of the apps either (just blue triangle placeholders?) so I suspected some installation issues but reinstalling/rebooting hasn’t solved this yet for me. From Garmin Connect on iOS, I can get into the settings but then it aborts reporting some communication error. On Windows, I was able to save the settings and confirm that they would be read correctly immediately afterwards and that the settings file in the Edge520 file system is indeed updated, but on starting the Edge all customizable data fields default to initial settings. It seems that the Garmin>Apps>Settings folder is reset and anything in there disappears. So, this seems a bit weird of course as all this should be simple enough that I’d expect such problems to be solved while in beta phase, but having all three attempts fail is kinda sad. BTW, I was interested in W’bal as that would be meaningful even without being able to write to .fit files. I’m using a OSX and am able to get into the settings of data fields with no problem. The three dots show up and I was able to successfully change the settings. The only installation problem I had was that it told me that my Edge 520 didn’t have enough space for the update but that was easily remedied by deleting the custom map, emptying the trash (freeing up a bunch of space – i should have done that when i first installed the custom map), and reinstalling the map for good measure. I restarted the 520 to make sure that the map was still working once I reinstalled and again so the update could install, but otherwise I didn’t have to do any restarting of anything. I can’t get it to work via the ios app. I’ve been wanting a virtual power capability for indoor training (on a dumb trainer) when I’m not using Zwift, and it looks like there’s actually a Connect IQ app that could support this (link to apps.garmin.com). 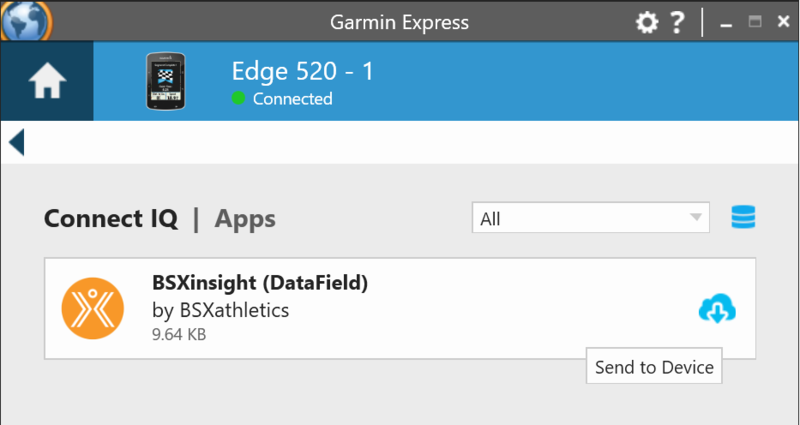 However, when I try to download it to my Edge 520, it says I don’t have a compatible device registered with Garmin Connect (other data fields work fine). The issue, I believe, is that the Edge 520 isn’t listed in the data field description as a compatible device — it only lists the watches, since until this week, only watches *were* supported for Connect IQ. Does anyone know if there’s code rewriting/recompiling necessary to bring these watch data fields to the Edge devices? Is it as simple as the developer flipping a switch to now say that it’s Edge-compatible? Thanks, Chris G — I actually hadn’t checked out TrainerRoad (which looks interesting), but I’d rather not spend another $12/month for virtual power, when apparently my Garmin, speed sensor, and trainer should allow me to see it right in a device that’s already mounted on my bike. And I realize this is an extremely first-world problem, but I have enough first-world gadgetry at this point that this should be an easy problem to solve! Yes, Connect IQ apps/data fields/etc. specify what devices are supported in the manifest, which is compiled with the app. So, the developer has to update the app as new devices are available. Some CIQ apps don’t make sense on some devices, there isn’t an automated way to determine it. It also allows the developer to determine what devices they want to support. Has anybody (besides DC) succeded in changing the values within the Apps to your needs ? Yes, it has worked for me too, although not as expected. 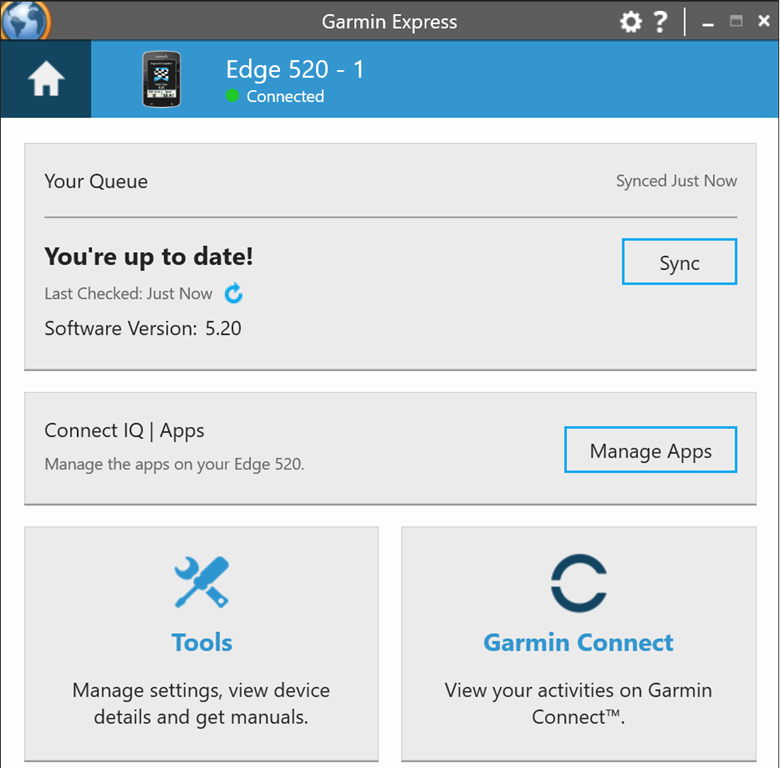 But I found I had to sync to my Edge 520 to load the app, then check it was on the Edge 520, and then go back to change the setting through Garmin Express and re-sync to get it to take the in-app settings. It seems the first time the app loaded on to the device it did so with the default settings. 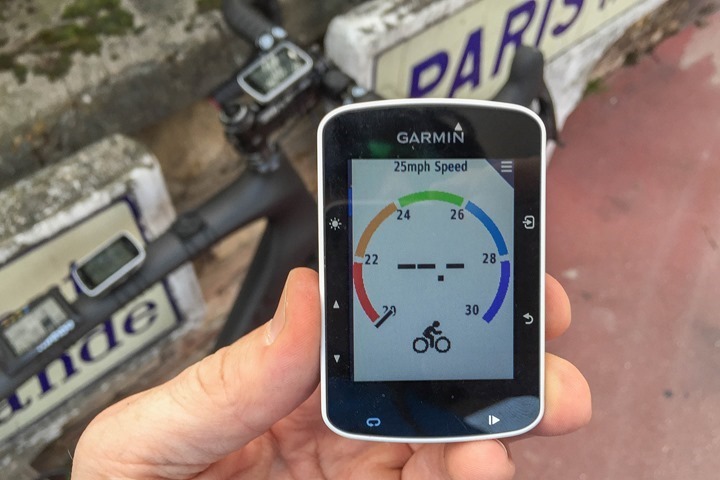 Once it is on the device you can go back and change the in-app settings via Garmin Express. Are private Ant data fields allowed on other CIQ devices now too? Or is that only for edge products. Both your description and Garmin’s make it sound like it’s only for edge. does anybody knows how to delete apps from my account? I have many apps that I do not want and when I try to find a specific app to reinstall, I strangle to find it. How shed friendly does it look? By which I mean, I have written my own apps for Suunto Ambit (NP, VI etc) – does it look like this is just for professional developers or home amateurs as well? The barrier to entry is higher than for the Ambit, but then it’s much more powerful and flexible than the Suunto language. There are examples in the SDK which you would probably be able to adapt pretty easily. You definitely don’t need professional skill levels. If you have software experience, you should be able to handle it. There are some idiosyncrasies but just look at the documents, read the manual, read the examples, and go to the Garmin Forums for CIQ. You’ll definitely want to install Eclipse for a development environment. Nothing close to Microsoft’s Visual Studio, but good enough. For me, I am able to easily create full page “fields” that have all the data I want in one or two pages for my FR630. Gets a bit trickier if you are trying to create CIQ fields for general/public consumption. Thanks. The Suunto thing is too much of a walled garden. This sounds much better. Is there a simulator so you can check your code works? I’ll have to check out the SDK to see what is possible. Thanks, I already have Eclipse! Have used it to write stuff to analyse images for research. I tried Netbeans first and proffered Eclipse. I’ve not released any of my Suunto Apps into the wild anyway, mainly because I’m not sure of the copyright status. Is the connect IQ library pretty thorough? Yes, you can simulate your code on any device that CIQ supports, including seeing the response to pushing buttons/touch screen. The simulator isn’t perfect, and doesn’t quite nail memory usage, but it’s very useful. You can even feed simulated GPS data into it, or read a FIT file in as part of your testing. 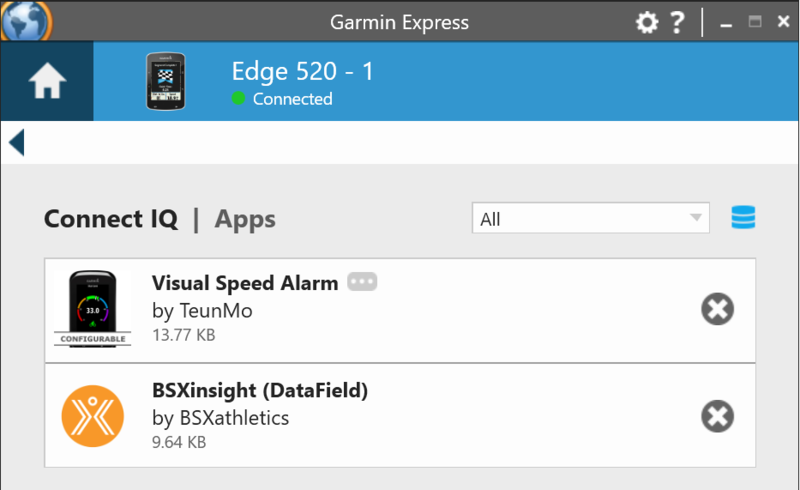 The really interesting potential for ConnectIQ data fields on Edge devices is to bring new data sources into play. Most of the now available CIQ data fields are just existing data sources (power, HR, etc.) presented in a different way, after all. But some are providing new data, such as BSX, as Ray points out above. But since the new data types are not yet being written into the FIT file, the current implementation of ConnectIQ falls far short of this potential. I suspect the holdup in getting the new data written into the FIT file is less the actual writing of this data into the FIT file, which would seem to be relatively straightforward, and more about how Garmin can integrate this new data into Garmin Connect. But this is just a guess on my part. Wonder if anyone who is more knowledgable than me about this would care to comment. They’re separate issues technologically, but perhaps not from a business perspective. The FIT file format has since day #0 included many undocumented fields, with copious warnings that integrators should ignore anything they don’t understand or expect. So… a properly written importer will work fine with custom data – you just won’t see any of it in the end-user app. We’ve now had something like 5+ years to write these FIT file importers and test them through many device + firmware updates. Most if not all “real websites” (ie commercial, not hobbyist) and apps will behave fine. In addition, the push API that Garmin Connect supports for partners runs on a pipeline outside of the normal website. SportTracks for example gets the uploaded FIT files sent to us exactly as they were uploaded – there is no translation or processing at Garmin Connect, none of the GC data is incorporated, etc. It’s literally what was recorded on the watch. 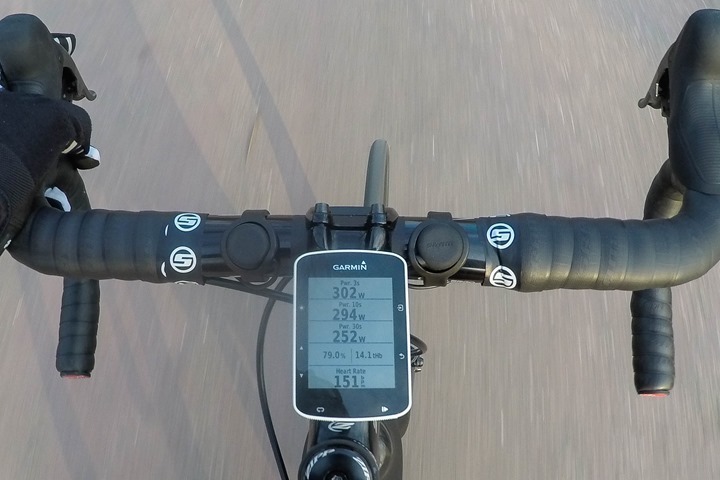 So for example, when Garmin allows writing custom CIQ data, the Stryd sensor could begin to save their advanced stride metrics such as breaking in the file, and this data could then be integrated into more advanced training software platforms, and in theory it should just all work with the current Garmin Connect infrastructure – no website/app changes needed. It’s purely in the watch firmware, and isolated. Business considerations could be more tricky. 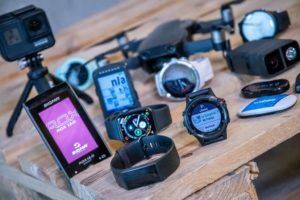 This begins to open the door to Garmin being more a generic tech platform, which means sensor/app companies can side-step a lot of their solution space (no need for Garmin Connect). Of course it means they’re a more capable *hardware* maker, which some would argue is what they are best at, but the flipside is people may question how a Garmin is different than a generic smartwatch running iOS or Android. It tried both from Windows and Mac, same outcome.. Same here on my Garmin Express on a Mac. It says Version 3.10 You’re up to date. After e-mailing Garmin, I figured out why I cannot update my Edge 520 and why it is saying ver. 3.1 is the latest version. I have a Taiwan version of the Edge 520 and ver 3.1 is the latest version for this unit. I find this really annoying as my unit is 2 significant versions behind though I purchased what I thought was the same Edge 520, the unit looks identical and is a Garmin unit with the same model name. Garmin has not explained to me why this is so. 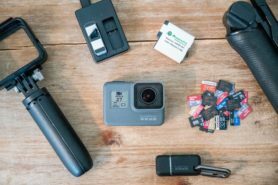 Ray, can you provide any background or issues with Taiwan Garmin products? I’ve tried numerous times to get clarity on why on earth there has to be this wonky Taiwan version that’s always super-far behind everyone else. The closest reasoning I get is that it’s because all of the Asian languages don’t fit, but that doesn’t really hold water since A) There’s plenty of storage these days, and B) The just push an English version for that model. It’s a prime reason I really don’t recommend getting the Taiwan version. Thanks for the insight Ray! I agree with you. There is ample storage room in my unit. At least if they are going to do this, they have to market it as a different model unit such as what they do in Japan where they sell the Edge 520J. I feel that they are misrepresenting this product as there is obviously 2 tiers. Furthermore any customer that has the Taiwan version like me will spend countless hours trying to figure out why their Edge 520 won’t update when everywhere on the net says that there are updates for it. Obviously I now want to return my inferior product. 1) Lights that transmit their battery capacity via bluetooth and can be checked on the head unit. 2) Music/Volume control … including full apps for Stitcher and Pandora, etc…. 3) Live weather with weather map overlays over position and course (if you’re on one). An Awesome App for connect iQ would be MTB Project and/or Maprika. Will Trainerroad bring workouts to the edge? Or more something like alerts to hit targets of wattage? Widget for TR to do a workout? Would be nice to do a trainerroad outside like you do inside. Also gives TR value for people getting subscription for the whole year. I was able to download the update, install the BSX app/data-field, and get it working — all in about five minutes. Worked just fine on the bike, but would also love the data to be stored in the .FIT file. I wonder how much the “slow roll” of these features has to do with technology, and how much has to do with market protection. I am still waiting for the ANT+ FE-C for the EDGE 1000…having just bought a Bushido SMART, I was really waiting for the EDGE to replave my tablet. Hi, I don’t know much about Connect IQ, but will this functionality allow me add the “missing” power data fields to an Explore 1000? ie 3s and 10s avg. And, how about the VO2 calculation as part of an app when they’re available? For the power fields, yes, potentially if someone created. For VO2, not sure, I’d expect that would require HRV type access and a bunch more algorithm work. Had been considering buying the 520 but now that the Wahoo Reflekt is out, when will you roll out that review? Never been a Garmin fan and the Wahoo sema like a great option. Sorry, meant a review about the Wahoo Element. Yup, end of the month. See no issues hitting that. That W’bal app sure is bike geek heaven!! the current CIQ on edge devices is too limited. It only allows datafields and they dont support accessing sensors, or communications or even notification counter that is actually supported on wrist devices like fenix3. Except, that’s not true. And actually, that’s roughly what about 80% of this post is about – showing access to sensors on Edge Connect IQ data fields. sensors dont work in datafield. you can test it yourself by installing the MO2 Datafield sample in ciq sdk into an edge520… no joy.. nada. I did test it – in the post. I’m not sure why yours isn’t working – but it definitely does work. yes sir.. you were absolutely right…apologize. Just shoot me a note at ray at domain name. 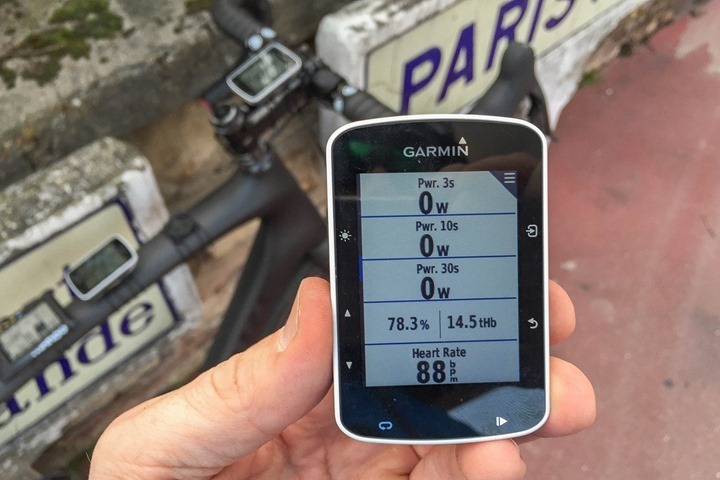 There is a Garmin connect app by Parralix that reads etap settings. It creates a data field for the information. It seems to work fine, but the display takes a few seconds to change after shifting gears. Ray, first off thank you for the site. It’s very informative. I got one of the fist Edge 520’s when they were first released to the general public and it worked great. However, almost every update since then I’ve been getting various bugs and had a few problems with the unit freezing up, turning off, and etc in the middle of rides. 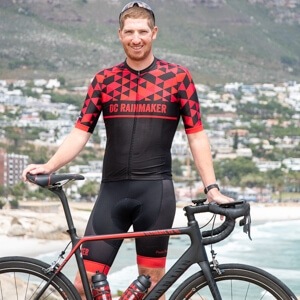 Since this update or the one before it my Edge will no longer upload my rides go Garmin Connect and will not update the Strava Live Segments. 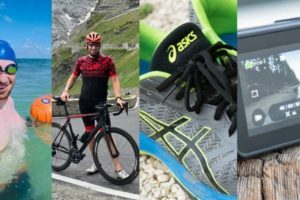 I’ve tried doing the factory reset and disconnect/reconnecting to phone, Strava, etc. Garmin supports only response was to make sure I had the latest software. After saying that I did they stopped responding. Any ideas how to get this fixed or get Garmin to actually do something? Thanks! There are some very knowledgeable people who hang out there, and they should be able to give you some answers. Thanks for the feedback. My account on the forum seems to be locked for some reason. I’ve never posted there and keep getting this error “you do not have permission to access this page”, so I’m unable to post. 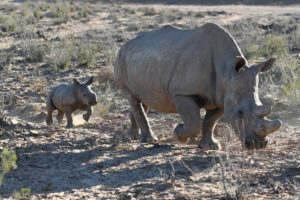 It appears to be linked to my Garmin Connect account. This is pretty cool. One useful app that immediately sprung to mind was an add-on for Zwift! Currently you’ve got to reach for your laptop of phone to use the boosts. Could the 520 be used to activate this, or to give someone a ‘ride on’? Yup, they could definitely develop something like that. Just thought I’d post to say that I managed to cajole one of the community app developers on Garmin Connect IQ who has kindly produced a configurable power averages data field for the Edge Explore 1000. That device has a limited number of power data fields, there’s only power, avg and 3 second avg but the app lets the user configure any timed power avg plus there’s an option to display %FTP. With this data field the unit now has basic usability for power training, and it’s so much cheaper (in the UK) than the full fat Edge 1000. PS. I’m not connected to the app developer at all, I’m just pleased that a community developer helped out. Next stop, to lobby for a normalized power data field! I would really be happy if there would be an app on Connect IQ that virtually calculates power (and avg. power) watts in calculation of speed + cadence sensor and altitude. So I could see my “watts” when cycling although I have no power meter. For me power meter is momentarily still to expensive. Although these data wouldn’t be very accurate, they would still be close in normal conditions (with no wind and riding alone). Strava has that calculation in workout, but that is not live data, and therefore not very useful, as you do not know what conditions were at what given riding time. Does anyone know if something like that already exists or is it being prepared? I think a lot of cyclist with no power meter would find that very helpful. When is it ever not windy? Do that calculation without knowing the actual air speed as opposed to ground speed and you’ll make large errors. The force due to the wind goes as the square of the wind speed, and it’s the major force on a cyclist at typical cycling speeds. So if you’re going 20 mph and the wind is a modest 5 mph in your face, you’ll get the force wrong by 25**2/20**2 = 1.56. 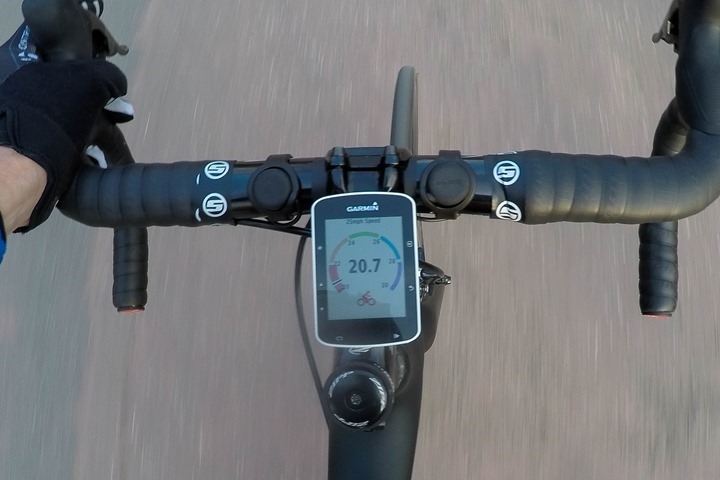 The Velocomp PowerPod that Ray recently reviewed (and isn’t that expensive) does exactly the calculations you have in mind, but it actually measures the wind speed along the direction of motion. Also, you’ll notice that whatever Strava does to estimate power in the absence of a power meter, it’s incredibly spiky. Does PowedPod measure aonly front wind or also somehow side wind or perhaps even back wind? In IQ there is now an app or. data field for vitrual power. For 10s average and 30s average. The down side for this is, that it gives you watts only based on speed (and not also on cadence and altitude). So it is only suited for indoor training. Sadly it is of no use for outdoor riding. As said earlier, this data field would be usefull only for given times when the conditions are extra normal. Just to see aproximerly how many watts are you pushing at the right moment. For training purpose if there is no power meter, than heart rate monitor is the right choice. But still it would be nice to have also a virtual power. Ray, any idea when indoor trainer support will be released for edge 1000? No, I’ll ask this week when I see them. I know it’s a little bit cheeky Ray, but please could you ask if they would do a strong beta programme for the Edge series computers, I feel each release we get is under tested. Turn by Turn testing seems particularly under done, on edge 810 & 1000. They do actually beta test some models, for example the Edge 520 has had a beta program here and there, like the Fenix lineup. I don’t know why the Edge 1000 hasn’t had one though. Have the latest updates to the GE 1000 included any trainer (Kickr) control. All that I can see is that an extra (superfluous) five screens are supplied for displaying indoor trainer data. Please tell me I’m wrong. 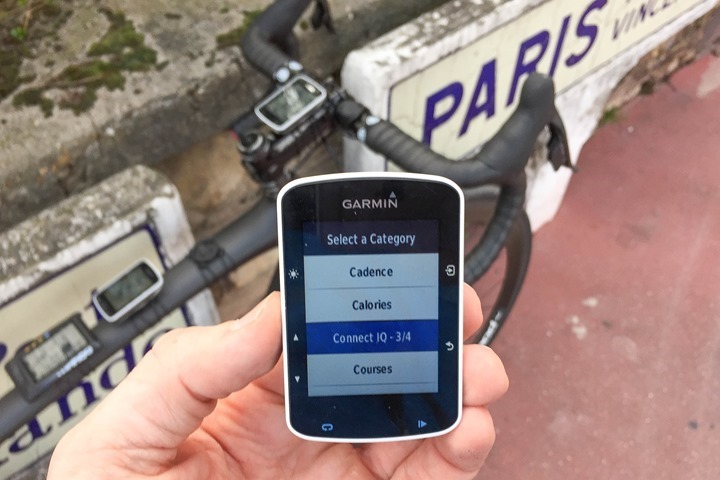 It would be nice if someone could develop a Connect IQ app that would collect traffic data through the Garmin Varia for various cycling routes. I might perceive that a certain route has more traffic than another, but, the data might prove me wrong. Do you have any idea when the FR225 will have support for the Connect IQ Store? I have been waiting forever for this! :( Do you know if there will ever be one? There’s no plans for the FR225 to add Connect IQ functionality. Does anyone know if you can color code the data fields on Edges (like the 520)? Wish someone would make an app for that. Also, can you set up your data fields on the computer and then import them to an Edge device? My Garmin Edge 520 v6.00 (Asia version) does not have “Varia Vision” listed in the sensor list and “search all” also does not allow pairing of the device. Hi Ray, I have a Garmin Edge 500 which has served me well and is still in perfect mechanical and physical order. However, I am finding it very difficult to read the screen when on a ride because I can’t wear prescription glasses and I don’t like wearing my contacts. The size of the screen is a definite problem but so to is the LCD display. It’s virtually impossible for me to see the metrics without having to really concentrate!! Is the 520 display any better. Should I go for an 810? From the whole gambit of Garmin models what would be the most cost effective purchase in this regard?